Thread is one of the cornerstones of every sewing project. Choosing the right kind is important. Cotton thread, silk thread, polyester thread, elastic thread, how can there be so many kinds of thread? 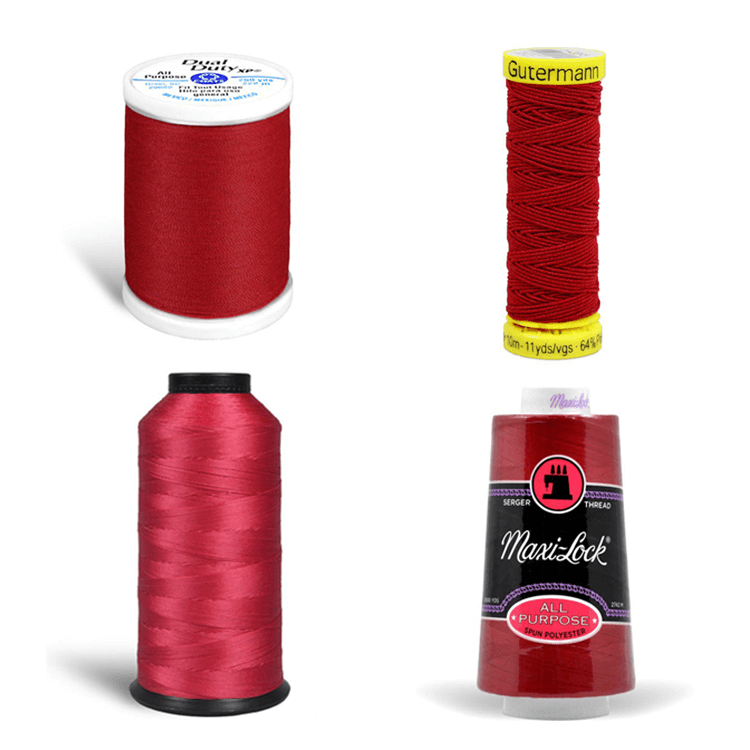 Here are a few things to consider when choosing thread for your project. 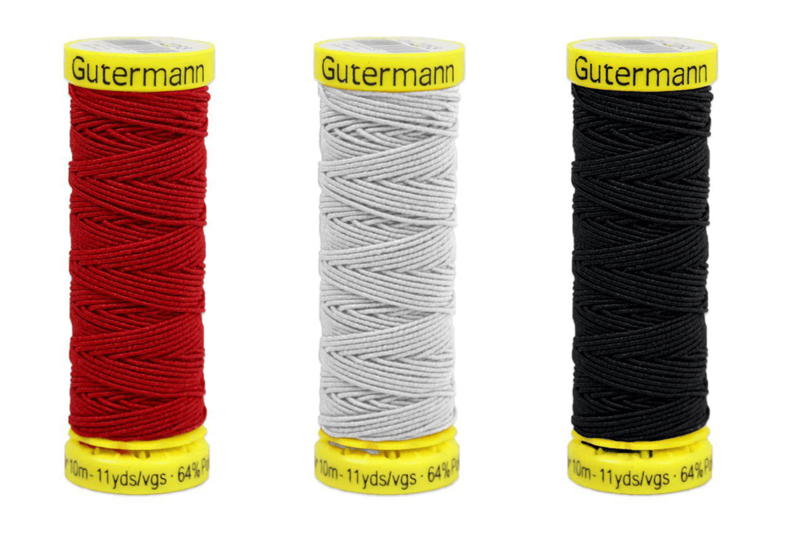 A general rule for buying thread is to match the thread content with the fabric content. Silk thread, for example, is made from a very fine natural fiber and will pair well with fabrics like silk and wool. Tailors often use silk thread because it can withstand heat and will not snap easily. Quilters often use cotton thread with cotton and linen fabrics. There’s very little “give” to cotton thread so it will help projects like quilts hold their shape, but shouldn’t be used if you’re looking for some stretch. This thread can also withstand a lot of heat, so it won’t be damaged by an iron. 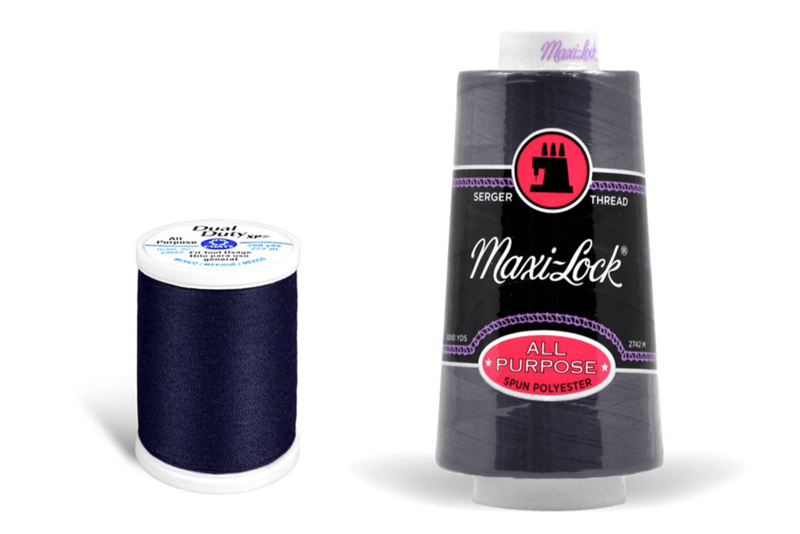 This is a go-to thread for most hand and machine sewing projects. Polyester thread has some give, but doesn’t withstand as much heat as cotton thread. It’s coating allows it to slip easily through fabric. This thread is fairly strong, but not suitable for heavier projects like upholstery. If you choose all-purpose thread, make sure to get the right container. Normal sewing machines use thread on a small spool. Serger thread comes on a large cone meant to be loaded into a serger. If you’re working with stretchy fabric, elastic thread may be for you. This thread is great if you need your project to stretch or form well to the body. If you do use elastic thread, make sure to only use it in the bobbin and wind it by hand. For heavy-duty applications, nylon upholstery thread is the way to go. 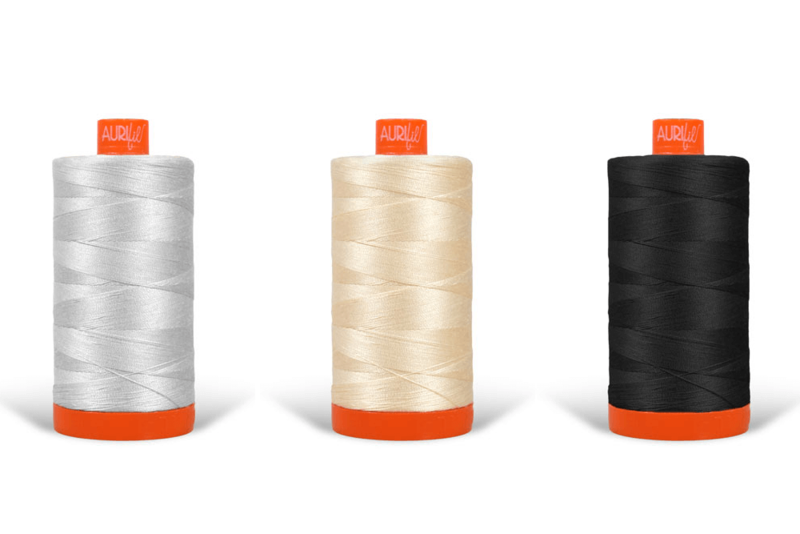 Made of 100% bonded nylon, this durable thread holds up to rugged outdoor use and upholstery projects. 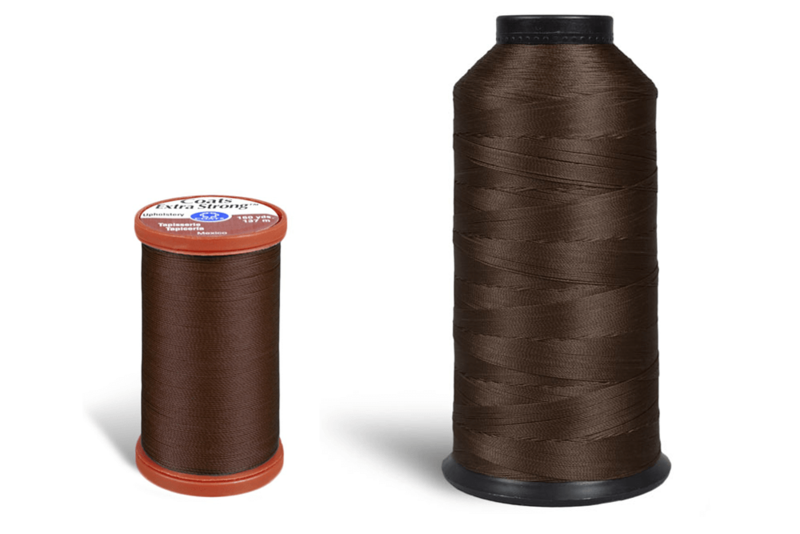 Upholstery thread can come on a standard sewing machine spool, but it can also come on cones meant for sergers or overlock machines. Ready to choose? Here's our full selection of thread. What threads do you recommend for longarm machine quilting? Can you explain the numbering system that goes with different weights of thread? (Eg: what does 70 weight thread mean?) Is there a chart of thread weight and which fabrics to use them with?